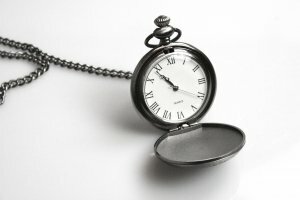 How do you create time? Really, sometimes, it is not so much about creating time but about not losing time. Based on observations of myself and my productive colleagues, on many occasions, time is wasted on things that are not supposed to be done then. I am sure you have heard of “there is a time and place for everything.” Here are my suggestions on how to create time at the office. Those of you who read my articles know I am a huge fan of closing the browser when working. To me it is the number one way to create time in the office. Browsers are the number one reason time is wasted at work. Let’s face it, you use most of your time to check personal emails, update your Facebook, read the news and watch Youtube videos during office hours. One minute here and there can easily make up for an hour or two you could easily spend on other more productive things. People think they can multitask. In my personal opinion, when you are focused on one task at a time, you are most productive and you get more done than if you are to spend doing two to three things in the short 30 minutes. You lie to yourself that you can multitask. You cannot. If you need to reply an important email, focus on that. Don’t pick up the phone. If it is important, they will ring back. Do one thing, finish it then move on to the next. That’s how you create time. In fact, I should say, manage your attachment to these gadgets and the attachment to the idea that you can multitask. Forgo these ideas. Because I know you will feel you NEED these things. Once you close the browser, you will feel you are cut off from the world. That’s how attached you are to them. You feel anxious when you turn off these things. So you leave them on thinking it’s only a few seconds here and there. So you end up on your mobile phone with sms, whatsapp, and whatever else on wasting precious time when people contact you. Once you cut these off and focus on one, you will create time. I am not saying spend less time on your assignments. I am saying use your best judgement on what should be made shorter. Perhaps, you stay on the phone too long than you need to. Especially if it is a personal call, you can always call back. Gossip all you want once you have done your work. Make a note to call this person back. Excuse yourself if you have to. Or you take lunch longer than you should. Your justification is – “I need a break” even when you have things to rush in the office. If you make these ‘unnecessary’ events shorter, you create time you desperately need. Actually I am referring to your excuses. You allow yourself to be distracted each time you need to start on a boring assignment. Like “Oh, I need to reply this email about lunch tomorrow first.” Then comes a multitude of excuses before you will start or work on the boring assignment of yours. In fact, if you can get it your way, you will even ask for an extension of the deadline. But the same vicious cycle will repeat itself. So, what do you do? Start. The faster you start, the better it is for you and everyone else. You create time when you stop creating excuses. I am confident, if you can just do this for one day these few suggestions, you can see how much you can achieve in a day. I have used these personally to create time in the office. Of course, I sometimes succumb to resistance. But I am aware enough to spring right back. You can too. For more articles related to how to create time at work, click here.